A lack of sleep is associated with depression, obesity, cardiovascular disease and diabetes, yet gone are the days when our bedrooms provided a sanctuary of tranquility and relaxation. Instead contemporary bedrooms are now filled with TVs, iPads, laptops and mobile phones – all doing their very best to ensure we’re permanently on call, over-stimulated and wound up. According to a National Sleep Foundation study, 60% of 13-64 year olds experience problems sleeping and a staggering 95% use electronics in the hour before they go to sleep. It doesn’t take a brain scientist to realise there could be a very strong link between the two! Especially when 95% of 18-29 year olds sleep with their phones right next to their beds. 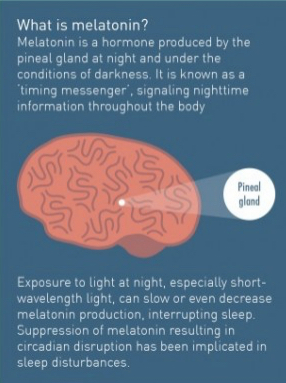 The self-luminous display light emitted from phones and tablets, is the main cause for concern, as a study from the Lighting Research Centre proved exposure to this artificial light before bed caused melatonin suppression – a hormone that regulates our body clock and tells us it’s nighttime! Turn off all technology one hour before bed, and wean yourself from the stark white light. Instead of watching TV or messaging, you might have a bath or meditate, write in a journal or read a paper back in bed. Once you commit to a techno-free watershed, you’ll be amazed at how much calmer and in control you feel. The perfect end to a hectic day! Don’t use your phone as an alarm, this will only encourage checking work emails or social media within minutes of waking up in the morning. Keep your phone charging in another room overnight – this will prevent any temptation to reach for it when you wake in the middle of the night, and if it’s not acting as your alarm, there’s no reason for it to be in the bedroom anyway!